At The Juicer’s Friend we absolutely love beet juice. In fact whenever we can’t easily find it or don’t have access to a juicer we make sure to have beet juice powder (also known as beet crystals) with us. Beets and beet juice have a variety of health benefits that are pretty well known. Among them are building blood and boosting immunity. 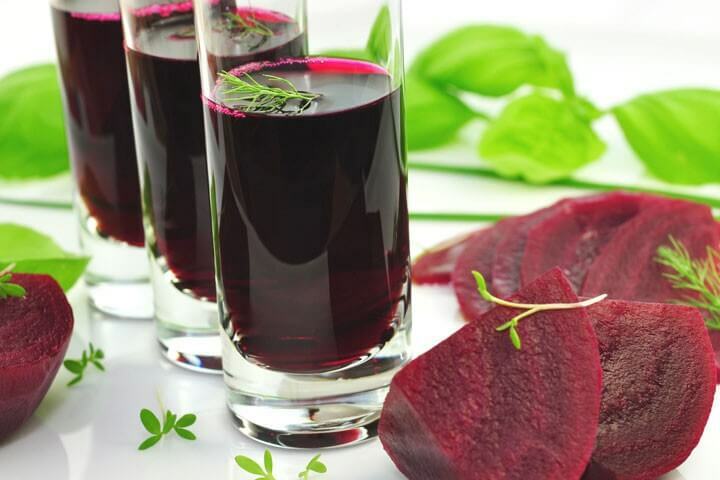 We were happy to read and share this amazing report, though, on another benefit of beet juice that we had no idea existed. Hope you enjoy the post! 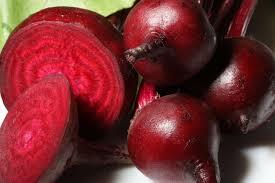 Could beet juice provide you a brain boost superior to coffee or tea? “Nitrate derived from vegetables is consumed as part of a normal diet and is reduced endogenously via nitrite to nitric oxide. It has been shown to improve endothelial function, reduce blood pressure and the oxygen cost of sub-maximal exercise, and increase regional perfusion in the brain. The current study assessed the effects of dietary nitrate on cognitive performance and prefrontal cortex cerebral blood-flow (CBF) parameters in healthy adults. “In this randomised, double-blind, placebo-controlled, parallel-groups study, 40 healthy adults received either placebo or 450ml beetroot juice (~5.5mmol nitrate). Following a 90minute drink/absorption period, participants performed a selection of cognitive tasks that activate the frontal cortex for 54min. Near-Infrared Spectroscopy (NIRS) was used to monitor CBF and hemodynamics, as indexed by concentration changes in oxygenated and deoxygenated-haemoglobin, in the frontal cortex throughout. The bioconversion of nitrate to nitrite was confirmed in plasma by ozone-based chemi-luminescence. Dietary nitrate modulated the hemodynamic response to task performance, with an initial increase in CBF at the start of the task period, followed by consistent reductions during the least demanding of the three tasks utilised. As you can see above, the beet juice intervention resulted in the modulation of haemodynamic response (HR) in the prefrontal cortex during task performance. In neurobiology the HR involves the rapid delivery of blood to active neuronal tissues. The blood vessel dilating effects of beet nitrate and subsequent increases in oxygen and nutrients may help explain the improvements in cognitive function in the intervention group. At The Juicer's Friend we are crazy passionate about juicing. We ourselves have experienced powerful benefits from juicing and aim to share the practice with as many people as possible. We share articles, videos and stories on this site to inspire and inform. Thanks for visiting! Woman Loses 100 lbs On Juice Fast! Copyright © 2019 The Juicer's Friend.